All tend to have a fast oxidation rate. This is explained in depth in other articles and in the book, Nutritional Balancing And Hair Mineral Analysis. Many are nutritionally deficient today and somewhat toxic, sadly. This accounts for most problems of children, other than the use of medical drugs and vaccines, which are both quite damaging to babies. Many children are born with infections, or acquire them rapidly from hospitals, impure water or food, toys, or other exposures. All tend to have a faster oxidation rate for a while, due to stress. Then the sodium/potassium ratio becomes less than 2.5:1. Dr. Paul Eck called this an inversion of the ratio. Many start eliminating toxic metals they were born with and this shows up on hair mineral tests. Many have a high calcium/magnesium ratio because they stop breastfeeding and eat too many carbohydrate foods. Some go into a pattern called psychological four lows. This is not as rare as it used to be. The use of medical drugs and vaccines may devastate some children at this time leading to autism, ADD, ADHD, cancers etc. This is when most damage occurs biochemically. Most children change into slow oxidation, a much lower energy state. This is recent in the past 25 years or so. Before that time, most children remained in fast oxidation until the teenage years or beyond in America, in particular. In Europe, Asia and Africa, all children tend to go into slow oxidation even faster for various unknown reasons. Some come out of their psychological four lows pattern into a slow oxidation rate with either a normal or low sodium/potassium ratio. A few remain as fast oxidizers, however. The use of medical drugs and vaccines continue to devastate some children at this time leading to autism, ADD, ADHD, cancers, delinquency and even thoughts of suicide. The oxidation rate is often extremely slow in sensitive young adults. It is rarely fast. A four lows pattern sometimes develops due to discouragement and thoughts of suicide. Fatigue and depression are very common today among young people. The use of medical drugs and vaccines continue to devastate young adults. However, those who are raised in good homes and who are well nourished may move out of very slow oxidation. 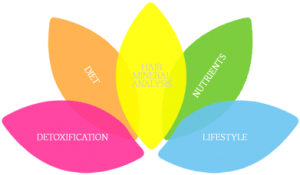 A nutritional balancing program at this age is most important for the future, as it can give young adults a fine foundation of health that will last them for years. They can also learn positive habits and how to avoid the worst environmental toxins such as fluorides, chlorine, toxic metals, chemicals in processed food, medical drugs, vaccines, and others. The oxidation rate is often slow and stays here for the remainder of life. As malnutrition and exposure to toxins increase, hair mineral charts may look worse and the person develops all the common ailments of aging such as obesity, low thyroid, diabetes, cancer, heart disease, arthritis and hundreds of others. Most people end their lives in a four lows pattern or with a severe sodium/potassium inversion (low ratio). This often causes a sudden death such as a heart attack, aneurism or stroke.